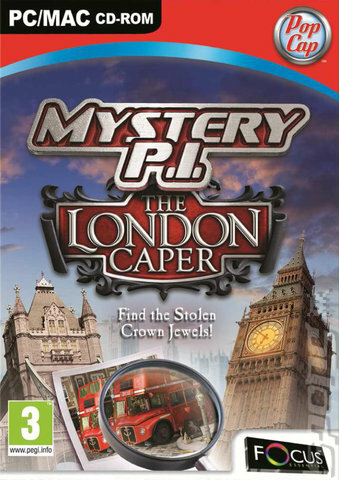 Language: Eng, Ger, Fre | PC | Developer: Vitamin G Studios | Publisher: Atari | 258 MBGenre: Puzzle, AdventureThe UnderGarden is a brand new, highly immersive casual game designed to inspire, provoke, and hypnotize. Gameplay is simple, yet profoundly compelling. Your goal is to master your characterâ€™s unique abilities to explore the furthest-flung crannies of this vividly hypnotic realm. Only by stepping beyond what is known will you succeed in navigating vast subterranean networks to find your long-lost band mates and lead them safely to the surface. Challenging puzzles and exotic, fantastical life forms guide you through the quest of a lifetime. 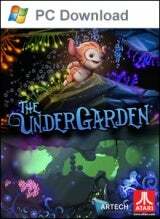 Each of The UnderGardenâ€™s 14 levels allow epic adventures featuring ingenious puzzles, high-resolution 3D graphics, and an enlightened world of wonder. Thanks to an abundance of visual detail, multilayered sound effects, stirring music and hidden secrets, exploring the unknown has never at once been so breathtaking and inspirational. * Casual Zen game design offers 20 different levels, each with a unique look. * The world springs to life with vibrant color and serene music as the player drifts past dormant seeds. * Puzzles are physics based, solved by placing grown â€œfruitâ€ that weighs down levers, or lifts up platforms to allow access to new areas. * Progress is driven by playerâ€™s own pace, desire to see their effect on the world, and exploration of new environments. * First game of its type to offer 2 player co-op play.